Many California jails are overcrowded and to comply with the law must release inmates early from their sentence. Due to this fact many of those accused of crimes are choosing to serve their entire sentence and reject probation. This is happening because it is becoming a well known fact that inmates are not serving the jail sentence imposed by the court. Los Angeles County Jail is probably the best example of abuses of our legal system. In one case a defendant was sentenced to 2,390 days and was released from custody after serving only 21 days. This is less than 1% of his sentence. This also means that the defendant is not on probation for this offense because he has served his entire sentence. District Attorneys from around the state have expressed their anger and frustration with the current system. Many other counties are being forced to release inmates prior to them doing 50% of their time. It will be very interesting to see how things develop on this issue over the next few weeks. 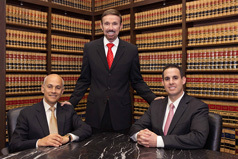 If you are accused of any crime you need to contact Wallin and Klarich to help you decide what are the bst options for you in your case. Call us at 877-466-5245 toll free 24/7. We will be there when you call.